The Army of the Potomac fought in numerous battles, large and small, during the Civil War. 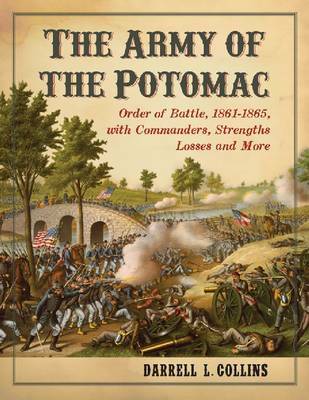 This reference work compiles information from the Official Records to give a complete look at the numbers behind every battle and major campaign the Army of the Potomac participated in. Organised chronologically by battle, the numbers are broken down by corps, divisions, brigades and regiments. The data include commander's names down to the regimental level, unit strengths, casualties and losses.